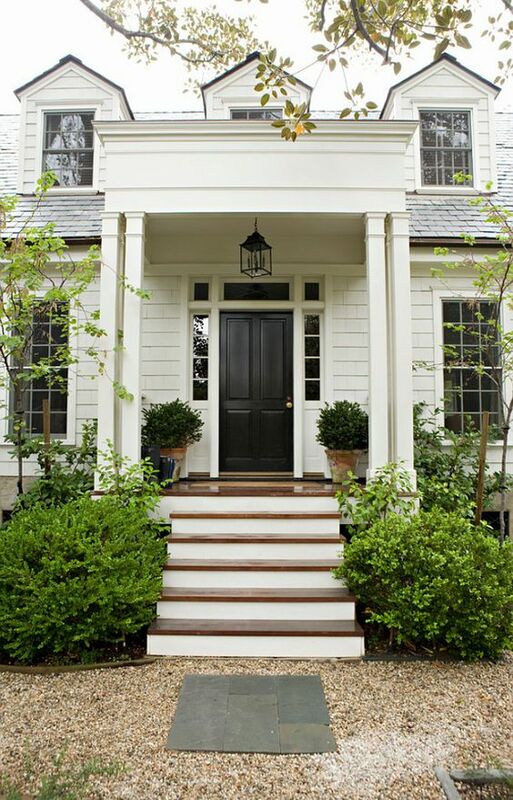 My absolute favorite look for a house is a black front door and black shutters. When we painted the outside of our house a few years ago, we painted the outside of our front door black and I couldn’t be happier. Now my dilemma is the inside. I am seeing interior doors painted black more and more frequently, and I’m growing to like the trend. 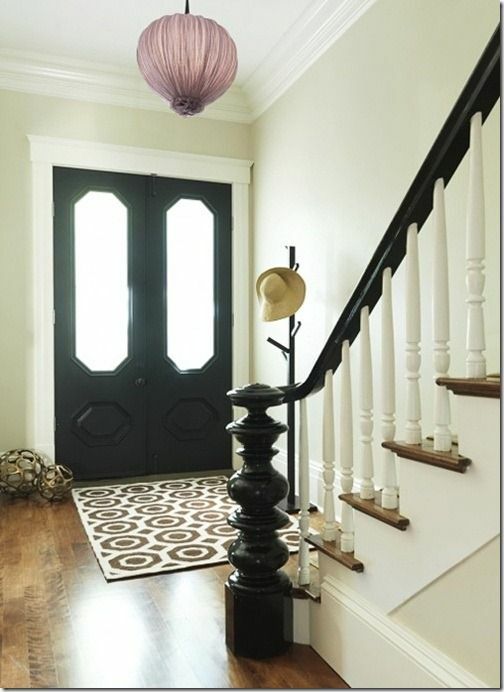 Designers love this trick for adding panache to simple, builder’s doors (mine) and several bloggers and friends of mine have done it. I’m torn though, as the inside of our front door is still wood/brown. Funny, because I used to subscribe to the design advice that “Every room needs something black,” and until recently, I had something black in most of the common areas. However, as I’ve gone lighter, and brighter and more pared down, I removed all the black as it was just feeling too heavy. I guess that’s why I hesitate to go with the black is I’m worried it will feel too heavy in the room now. I know I’m not going to paint all of the interior doors black (I don’t think that’s quite “me”) but I am toying with the idea of painting the interior of the front door. I’m torn between leaving it as is, painting it white, or painting it black. Usually when it comes to paint I’m of the “go ahead, it’s only paint!” team, but with black, it’s not quite that easy to go back! It is definitely more of a commitment! Just love a black door! But should the inside be black too? I was leaning that way until I saw the photo below. It’s very similar to my (presently) brown wood door, and it is pretty! Or, I could go with the traditional white. But once I paint, there is really no going back to the natural wood. All that stripping is not my cup of tea!! We are getting a new front door in the next few months, so I will have to make a decision shortly! At least I am sure about the front! 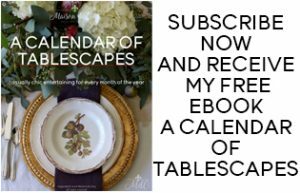 Sharing at the following parties this week – pop on over! So beautiful. The house I grew up in in Memphis had a back door. There is something that feels very southern and welcoming about black doors to me. They also tend to look more refined and they also seem to look better for longer. I tried a white door one time and I had to repaint it way too often. I think black doors look modern and cool, but you have to do them right. The first two photos you posted don’t sit well with me because there’s no black on the external parts of the house. If the steps were black, or if they had some statues or black pots, I think it would look really cool from an outsider's point of view. I think the first two interior photos you posted really nailed the design. 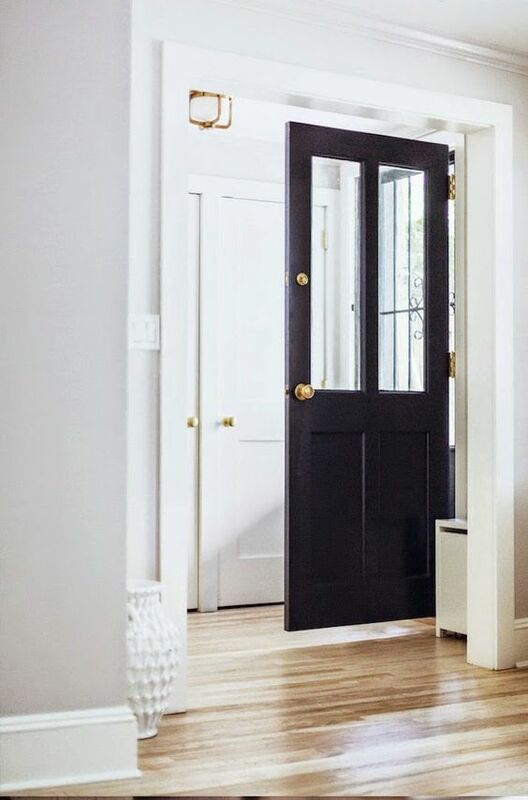 I'm currently loving black painted doors in high gloss – so chic! Can't wait to see what you select. Hi Sheila! I love your black front doors. 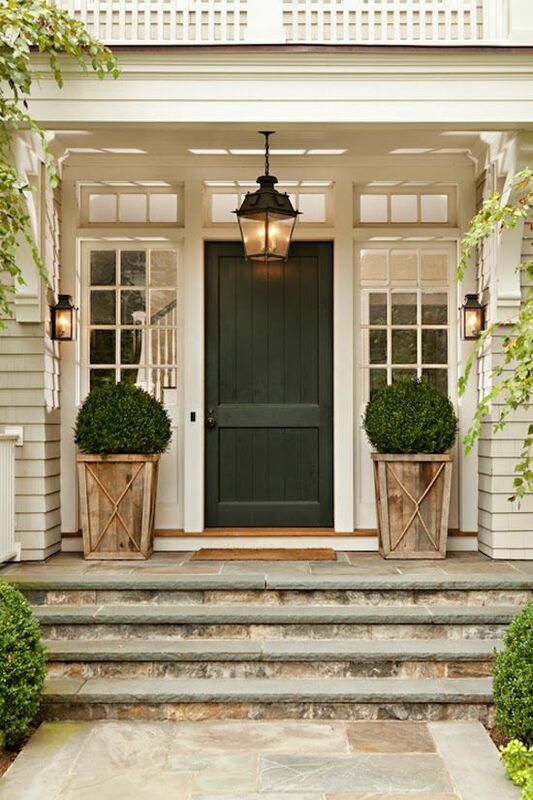 Yet two different looks… My sis in laws cape cod, preppy home has black front doors inside and out and looks fabulous! 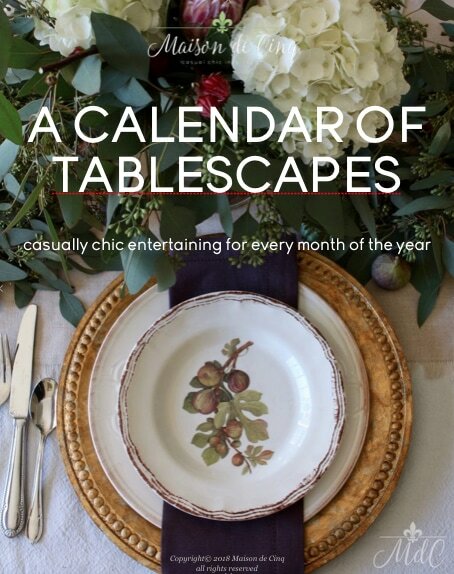 But… The french rustic Pamela Pierce/ Patina Farm look is wood, steel, or iron…. Love both just totally different! Love both styles… !!! Thanks so much Marilyn! Glad you stopped by! 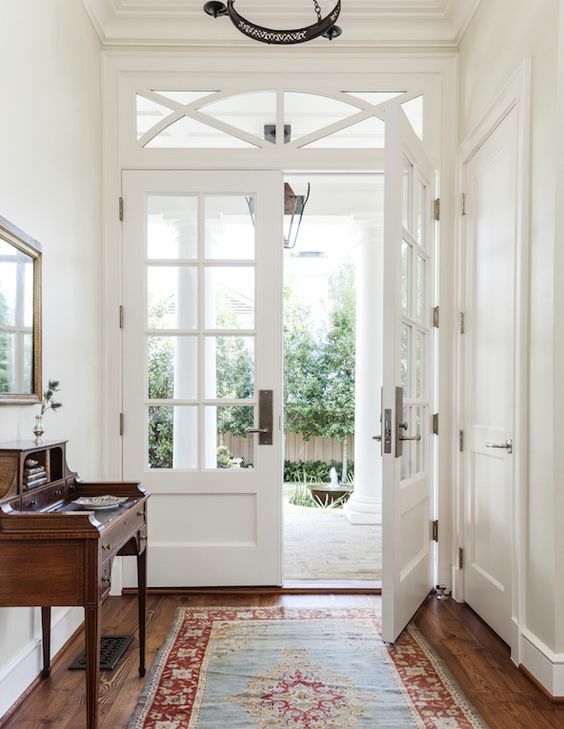 The entry dor is the personality of the entire home. 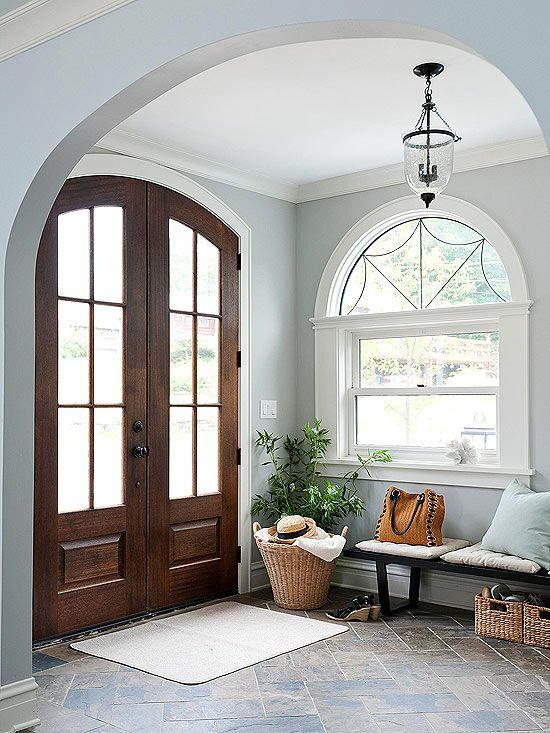 The arched wooden door is my favorite. Pinned and shared. Thanks for linking up at #ThursdayFavoriteThings! I hope you will join me at #OverTheMoon! This is what I love about blogging! I love getting feedback from you all, and more than that, sometimes just the writing of the post helps me to flesh out what I really love. I've decided that the new doors will be black on the outside, but white on the inside. When I look at the photos above of the white doors, they just speak to me. Like Des (above), I just want a lighter, airier feeling to my home and black inside will do the opposite of that. So I've decided! Now I've just got to order the doors! I love black doors, inside and out. That said, I've admired them online but never pulled the trigger myself. I'm not sure what I'd do if faced with a new door, able to choose whatever finish I'd want. Sorry not to be more help. I have a dear friend with a beautiful black door on the front. For the life of me I can't recall if it's painted black inside as well. 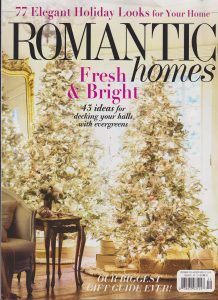 I love your style so I'm sure you'll make the right decision for your home. We recently painted our front doors black, inside and out and I love the look too! Thanks for sharing all these lovely looks! 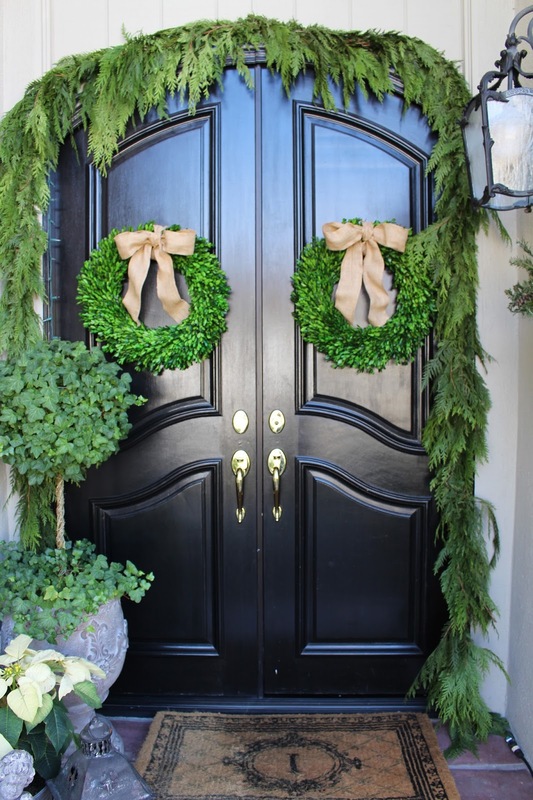 I love a black front door….so classic! 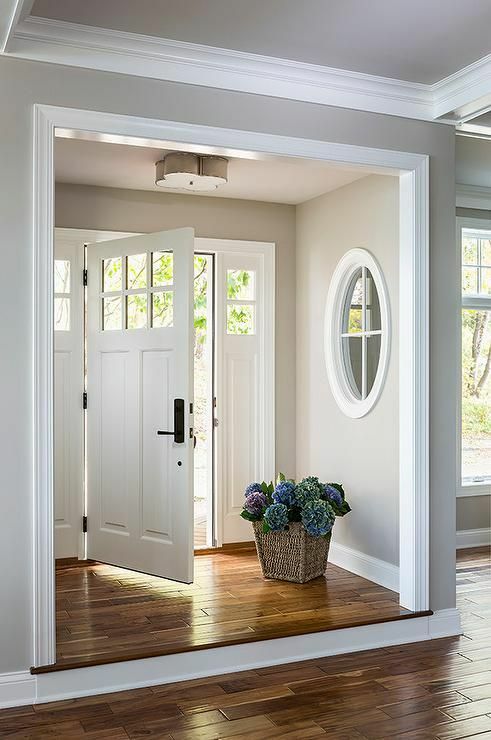 Since I like a lighter airy feel in my home I would never paint my interior doors black. 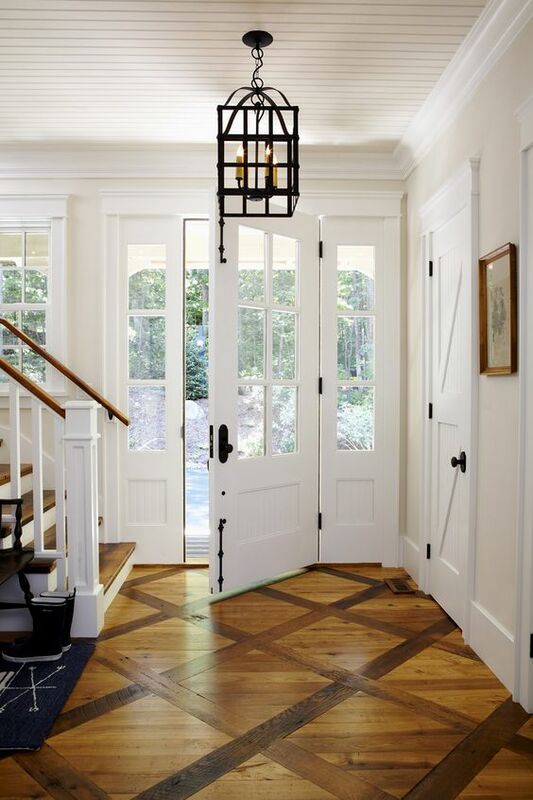 My doors are wood and antique so painting them is not even an option I would consider.